Gerard Farrés puts an end to his Dakar farewell as the best Spanish motorcycle (fifth in the overall). Dani Oliveras shines in the last stage (fourth) and puts an exclamation point to a great rally with a ninth place in the rankings. Marc Solà and Iván Cervantes improve in the final phase and put the finishing touch to the team’s performance. Córdoba (Argentina). The 2018 Dakar rally, one of the toughest held in recent years, concluded with a masterful performance by the Himoinsa team, cementing once again its status as the best private squad in the world, as well as the best Spanish team in the most demanding race on the planet. 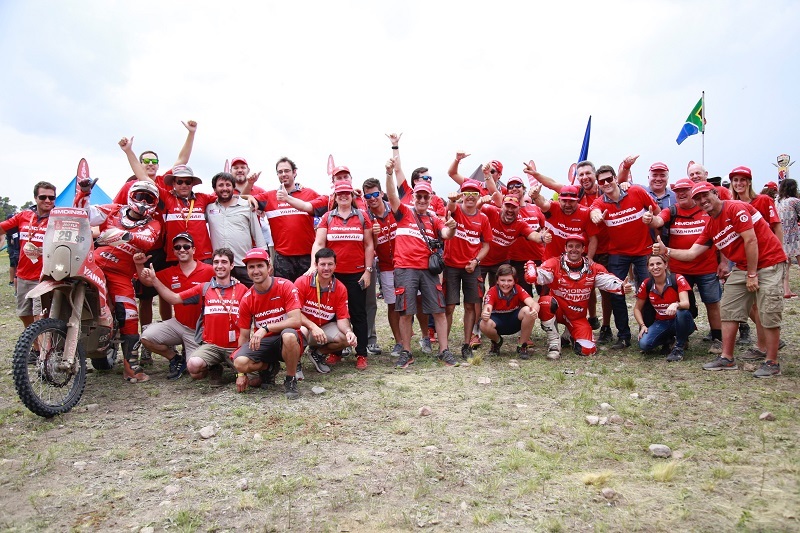 Four of the five components making up the red formation have achieved the goal of finishing the race and they have done so in impressive fashion, placing two of its components within the top ten and the complete team inside the top 30. Gerard Farrés, in his last Dakar as a motorcycle racer, has put a finishing touch on his career with a great performance that has allowed him to fight with the best, to challenge the factory motorcycles day after day and make use of his experience, his serenity and his ability as a great navigator to finish the race in fifth position. In the final stage, where there was little at stake in the overall, Gerard held a good pace to finish seventh in the special and secure his position within the top five of the rankings. Farrés puts the cherry on top of his career as a legend in this category, a rider who in eleven participations has always stood out for his enormous consistency and, more importantly, his immense sportsmanship. The last special offered little, but in Dakar there is always a chance for everything to go wrong, and that is why the Himoinsa Team riders tackled this last challenge with great responsibility. In fact, Dani Oliveras, the great revelation of this edition, was even fighting for the stage victory and, in the end, achieved a worthy fourth place as the best Spaniard, which allowed him to secure his ninth position, which he fought hard for during these two weeks. Also Marc Solà, still in pain after his crash in the marathon stage, pushed hard to secure his spot inside the top twenty and achieved a great result, 12th in the special, which speaks clearly of his potential. Iván Cervantes was also happy, the multiple time Enduro World Champion has struggled in this Dakar like everybody else, and in the end had his own taste of personal success in this incredible squadron led by Miguel Puertas.